Tired of rummaging around in the back of your SUV for a box of shells or the crystal for that post-hunt libation? (Mind the drinking and driving.) 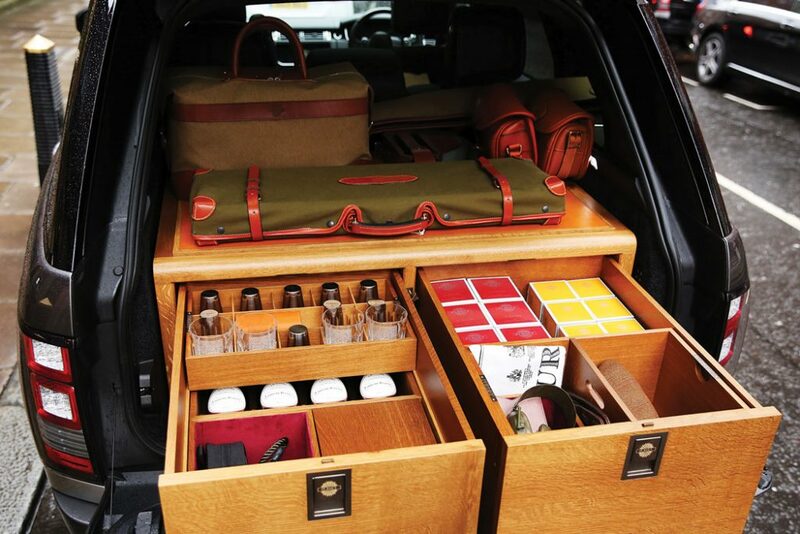 Well, you already have the “best” gun and the fine shooting brake; why not indulge in the ultimate vehicular storage system? The folks at James Purdey & Sons, in London, have partnered with The Sporting Box Company, in North Yorkshire, in developing a shooting gunbox like no other. The Sporting Box Company is part of Robert Thompson’s Craftsmen, Ltd., a fifth-generation furniture maker known as “Mouseman” for the signature mouse carved into each piece of oak furniture produced. 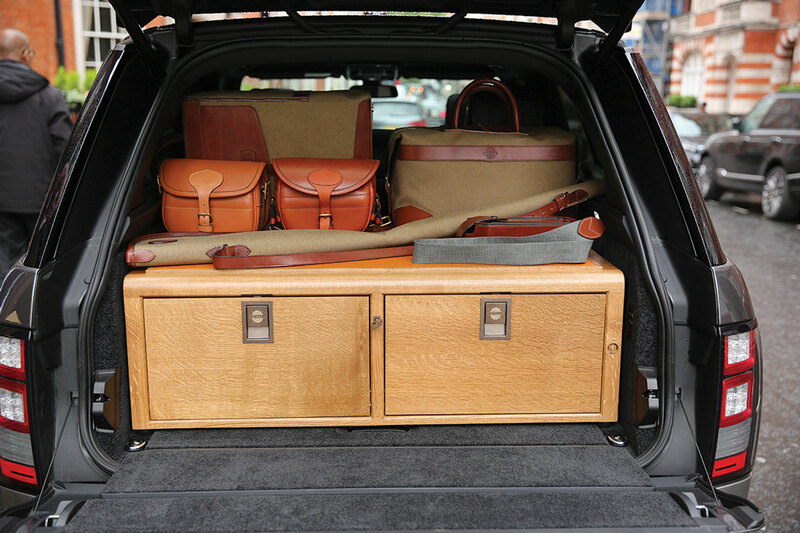 Every gunbox is individually commissioned and handcrafted from English oak to the customer’s needs. Featuring two large drawers in either a vertical or horizontal configuration (horizontal drawers can be made to accommodate disassembled guns), the box also has a reversible leather or rubber mat on top for additional storage. Accessories (quoted separately) can be added to the lockable drawers. A cigar humidor, perhaps? A drinks tray? Boxes for cartridges, shell bags or other shooting kit? The mind reels . . . . The price for the base unit starts at £11,500 ($16,000). But really, who can put a price on organization? 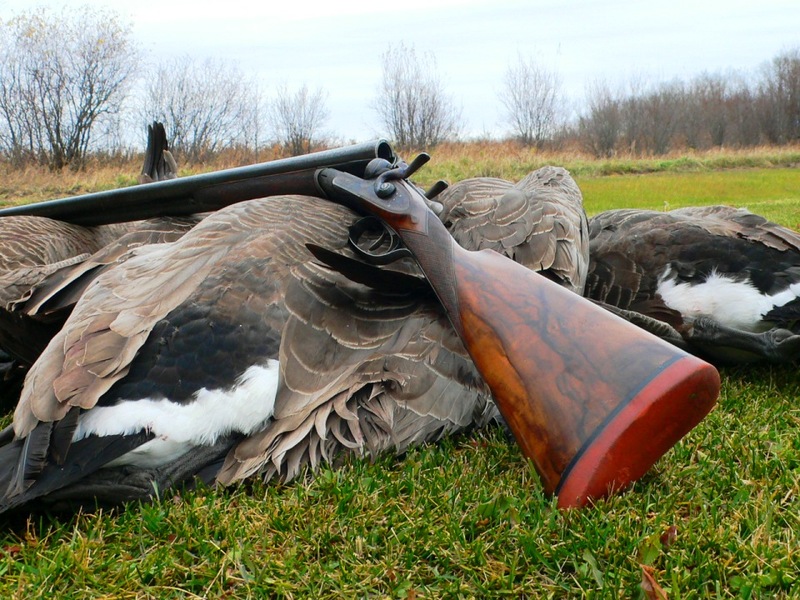 For more information, contact James Purdey & Sons.